Congrats to our client KINGO ENERGY for winning Leonardo DiCaprio as an investor and member of its board of advisors. At Entwurfreich, we are proud to have supported the KINGO team with its vision to bring light into every room – light which is safer and less expensive than a candle. Now, the famous American actor and environmental activist has joined this vision. “Solar power is key to a future without fossil fuels, and Kingo’s technology will help enable broad use of clean energy across the developing world,” said Leonardo DiCaprio. 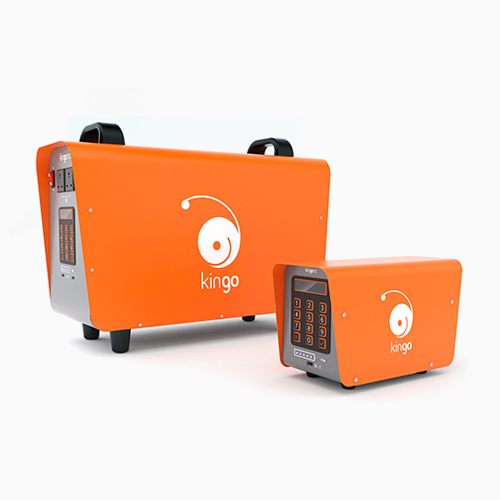 In order to open up a new level of functionality and aesthetics for the KINGO products, ENTWURFREICH created and designed a completely new visual product language for the company’s entire product range in the past. This was a great success, as in addition to the pure design and graphics, a strong focus was put on the overall experience, the brand strategy and the production.